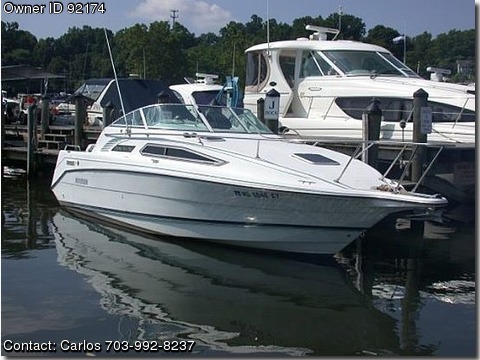 Call Boat Owner Carlos 703-992-8237 703-269-5727 571-237-7869. Description: Great for 1st time boater. As always been winterized, regular routine maint. Engine completely rebuilt with only 430 hours. Alpine Kenwood 2010 stereo, Bimini topm bilge pump, carpet, Coast Guard pack, compass, depthfinder, dockside power, full gauges, new captains chair, head, refrigerator, shower, new 2010 props, new outside upholstry, storage, stove, trim tabs, 2 new batteries, sleeps 4-6. Runs great and has a few new amenities throughout.